Click on the photo and see all the photos of Juku Hostal. WiFi available in all areas, 24-hour front desk, Meeting/banquet facilities, Family rooms. American Express, Visa, Red Compra, Euro/Mastercard, Diners Club. 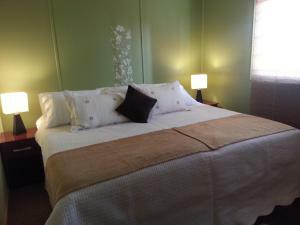 Only 3 km from Calama Shopping Centre, Juku Hostal offers rooms with free Wi-Fi in Calama. Free parking is provided. Parque El Loa Museum is 6 km away. Juku Hostal is 9 km from El Loa Airport.